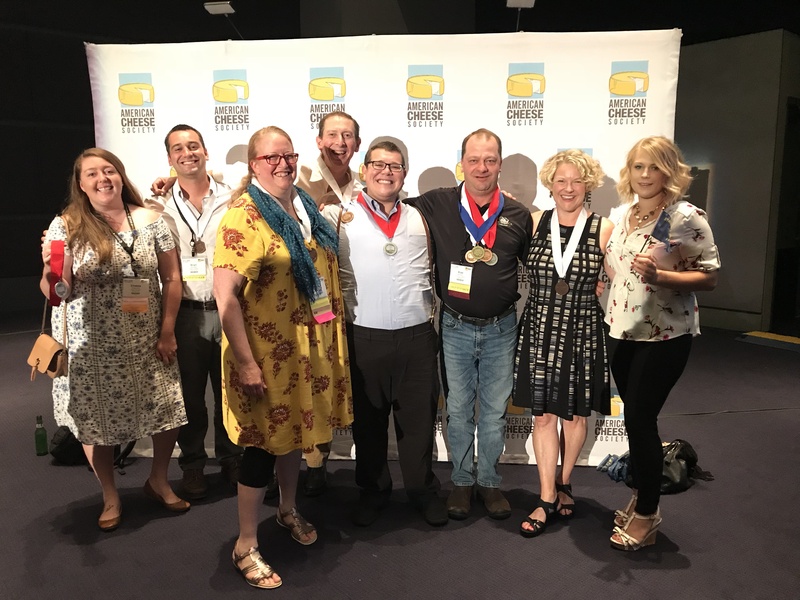 Portland, Ore. – July 30, 2018 – Oregon artisan, farmstead, and specialty cheese makers took home blue ribbons in two categories and Face Rock Creamery (Bandon) won an impressive five awards during the American Cheese Society’s 2018 Annual Cheese Competition. 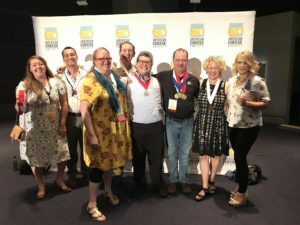 The awards were announced July 27 at the American Cheese Society’s 35th Annual Conference held in Pittsburgh, PA. Face Rock’s Clothbound Cheddar took home first place in the coveted cloth wrapped category that boasts some of the world’s most iconic cheeses. Tillamook County Creamery Association (Tillamook) scored a first in the crowded aged cheddar category with their 3 Year Vintage Extra Sharp White Cheddar. Tillamook landed four medals overall and Rogue Creamery (Central Point) three. Other winners were Ochoa’s Queseria (Albany) and Briar Rose (Dundee). The judging is the nation’s largest cheese competition and recognizes only the highest quality cheeses based on both aesthetics (flavor, aroma, and texture) and technical accomplishments. 43 cheese specialists judged the 2018 competition, which included 1,954 entries representing 259 creameries from North and South America. Additional information about the American Cheese Society and its competition can be found here and a full list of Oregon winners below. 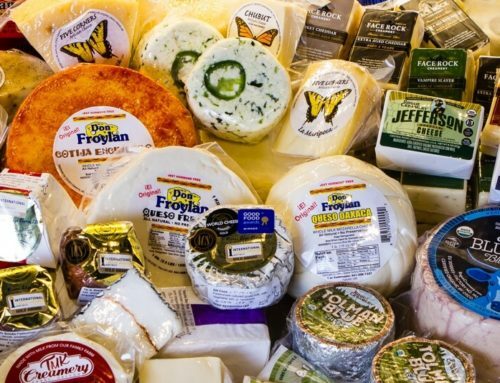 Consumers will have the opportunity to taste winning cheeses from Oregon creameries at fine groceries during Oregon Cheese Month in September, at the Guild’s annual festival October 6 in Portland, The Wedge, and at creameries around the state on the Oregon Cheese & Food Trail.